All CARACOL CREEK homes currently listed for sale in San Antonio as of 04/22/2019 are shown below. You can change the search criteria at any time by pressing the 'Change Search' button below. 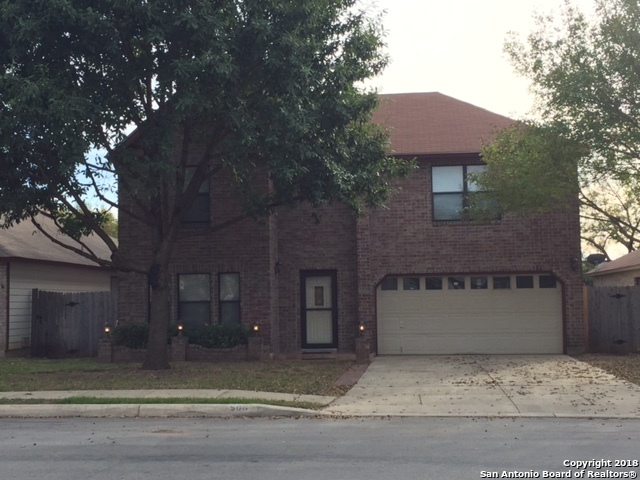 "4 TEXAS sized bedrooms, 3 living areas, 2 dining areas and a King sized master suite. This home is perfect for entertaining, space for everyone, extra serving counter space, tons of cabinets & a giant walk-in pantry. This open plan allows you to watch the game from almost all corners of the downstairs. Conveniently located to LAFB, SeaWorld, NW Vista College, fine shopping & dining." "Great home in a nice neighborhood, with plenty of space for a growing family. Spacious yard with a pergola, ready for your cookouts & family gatherings. 2 living areas with an open floor plan, kitchen features a new glass top stove, stainless steel side by side refrigerator. Home was recently painted inside, new carpet throughout! Large loft/game room upstairs perfect for family game night! Close to Military bases & major highways. Don't miss out on this great home - it won't last long." "Want to live in a home with beauty on the inside and outside! Then come see this 3 bdrm/2.5 bath home with 2570 sqft of living space. Features include Large Kitchen w/ lots of cabinet space, Huge Master, Nice open floor plan from the living room to the Kitchen, outside covered patio onto the lushes back yard, where you will find shade with the mature trees. In the NW side of San Antonio 1604/Potranco where shopping, Sea World, Hwy 151, Medical & Business park, close to Schools. This home will no"